York and the surrounding areas are a fantastic place for bringing up children and there is plenty going on for pre-school age children. Below is a list of all the children’s activities and classes available across York. Please contact the organisers directly if you would like to find out further information or to confirm class times or costs. If you know of any other classes or groups which are not already listed, then please contact us here. Basic listings are free. For details of how to get featured listings or how to advertise click here. Classes are now Wednesday and Friday. They are 1hr long, and start at 11.20, 12.30, 1.45 for Friday, and just 11.20 and 12.30 for Wednesday. Hi! I’m Miss Gemma and I’m delighted to bring the magic of babyballet to children in the York area. 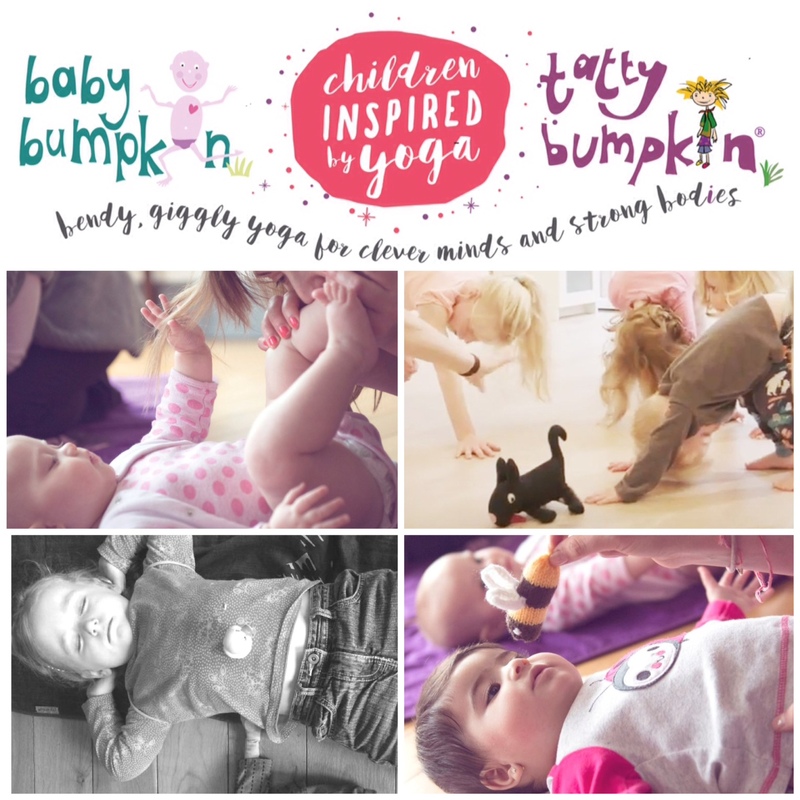 Our fun Baby Bumpkin Yoga-inspired classes combine storytelling, music and simple baby yoga movements that give babies from 10 weeks through to toddling a great physical foundation to development. We include a few warm up stretches for grown ups too but don’t worry if you have never done any yoga as these classes are predominantly aimed at little ones. 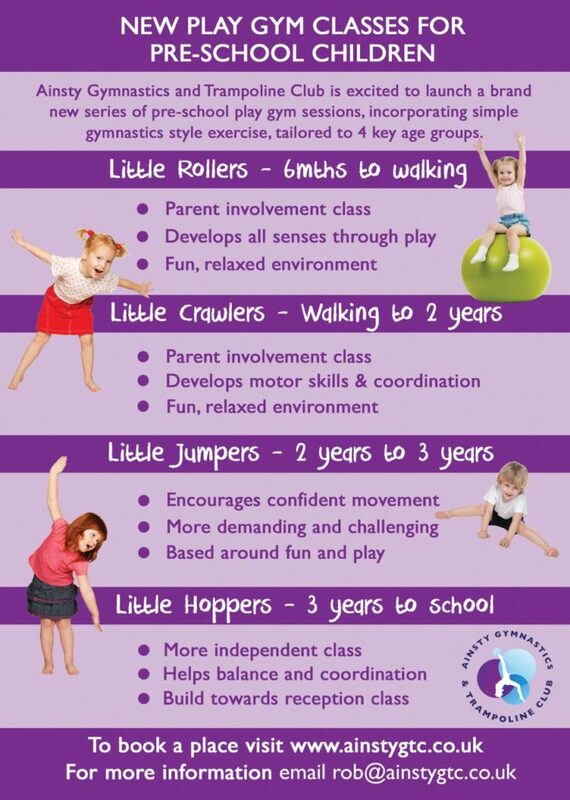 Classes are age appropriate and are split between Non mobile babies and Crawlers/Wobbly Toddlers. Sessions are booked in terms of usually 6 or 7 weeks that follow the school calendar. New starters can join at any point in the term, providing there is availability. Join us on a journey! Story, music, simple yoga-inspired moves and fun ! Our Tatty Bumpkin Yoga-inspired adventures are also in schools as an After School Club, so if your child (4 – 7 years – Reception/Foundation to Y2) attends Poppleton Ousebank, Copmanthorpe Primary, Acomb or Headlands Primary, please contact us for details. Sing and play through our structured awards programme and see your baby progress to a confident little swimmer. From 6 weeks old to 12 years old. Babies can start at Baby Swimmers as soon as you and baby are ready and happy to do so and through fun and games we progressively develop your babies natural reflexes to encourage voluntary swimming movements in the water which will build a foundation for your baby to swim unaided. Baby Swimmers benefits both parents and babies as whilst you are interacting and bonding in the water together, you are also benefiting from learning water safety and increased water confidence. It is also physically and mentally beneficial for your baby and enjoyable for you both. Research has shown that early swimming can benefit your baby by helping to develop water confidence, strength, co-ordination & alertness, whilst also learning water safety and having fun. We follow the Starfish Awards through the STA and once children are aged over 2 they progress on to the Stanley Awards. 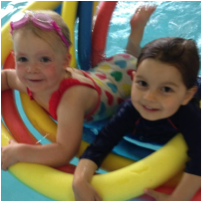 Once your child reaches 5, they progress onto Swimmers Academy, where we develop swimming techniques and build stamina, classes here are for beginners as well as children that have been through the Baby Swimmers courses. Bobotime is founded on the values of bringing parents and baby together in a bonding and relaxing way to improve and educate on the benefits of Massage and Yoga. Baby Massage is a lovely way to enjoy time your baby and can help relax you and your baby. Bobotime Baby Massage classes are a relaxed baby lead class that allows you to learn techniques and strokes to help soothe and settle your baby whilst enhancing your bond with your baby. All Baby Massage courses include handouts, oils and online resources. Bobotime Soothe, Settle and Sleep sessions are lovely sessions for you and your baby. Using holistic approaches and movements from Yoga and Massage to help relax and settle your baby. We offer 1:1 coaching session in the comfort of your own home, along with private parties tailored to your needs. 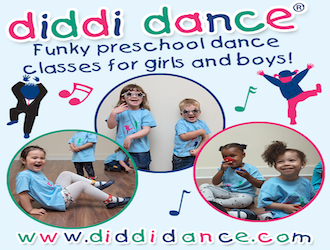 diddi dance is a fun and funky 45 minute dance session that suitable for boys & girls 18 months up to reception age, however if they’re younger but steady on their feet it is worth coming along for a try. diddi dance classes change themes every half term exploring 16 different dance styles including salsa, bollywood, hip hop and disco! Classes are booked for each half term through a booking system and are £5.50 per class. Sibling discount is also available. Please see my timetable for details of classes. Taster sessions are also available so please get in touch if you would like to try a class and join in the diddi dance fun! Dinosaurs Love Fairy Cakes is now serving up regular eats, treats, roarsome play and opportunities to meet new friends across York! On Tuesdays we run the Babes In Arms Elevenses Club at Spark:York from 10.00 until midday – this is for babies under 1 and their carers. £6 entry covers hot drinks, vegan cakes baked fresh by Lotte the Baker, gorgeous sensory toys for the babies to play with and a craft activity if you fancy it. On Wednesdays we’re bringing you Pizza & Play at Ask Italian on Blake Street from 10.00 until midday. £6 entry gets you toddler and pre schooler play time and pizza for everyone plus hot drinks and home made lemonade. £2 for every additional child. 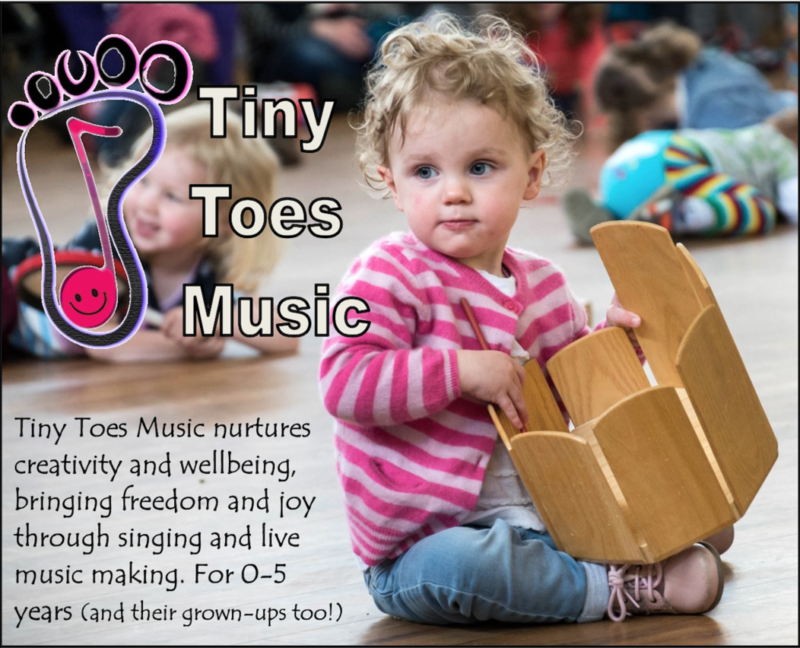 On Fridays you can find us hosting Little Stompers from 09.30 until 11.30. A group specifically for children under 2 at 2 Oxford Place on Gillygate. £6 entry gets you hot drinks, gluten free treats and loads of great toys for your Little Stomper. £2 for every additional child. 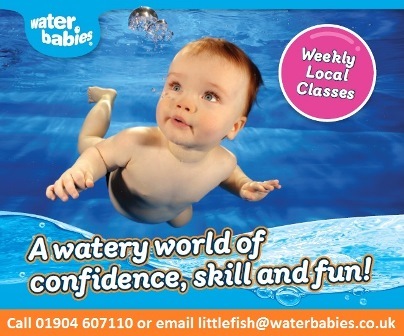 Swimming lessons for babies, toddlers, pre-schoolers & Primary School age children. Get in touch to book a FREE trial lesson! At Mini Swimmers our lessons are highly structured and use progressive practices to teach you how to teach your little one to swim. We are passionate about promoting water confidence along with techniques to develop the core skills which could save their life. We reward the children through the STA’s internationally recognised Starfish & STAnley Award Scheme. To get your week off to an energetic and invigorating start, we are very pleased to be able to host ballet classes with Sarah Dickinson for our very youngest dancers each Monday at 9.30am in our new award-winning Nursery building. If you want to learn and practise your yoga moves alongside your baby or toddler, Emel’s classes are just the thing for you. In a calm and relaxed atmosphere, Emel will guide you through, whether you are experienced or a total beginner. Sessions work out at £3.50 each; to join the class, or for further details, contact Emel direct on 07835 410447. To build confidence, skills and to just have great fun, this early introduction to ‘the beautiful game’ will be just right for your youngsters, both boys and girls. Paul Burke is a hugely respected youth coach who works with Premiership clubs, both as a youth coach and as a talent scout. He has been a member of the PE coaching staff at the Minster School for a number of years now, and we are happy to host one of his very successful mini-football sessions here at the school. Sessions work out at £3.50 each; so,if your youngster wants to let off some steam and learn the basics of ball control and generally have a whale of a time, contact Paul direct on 07765 883412 for further information. 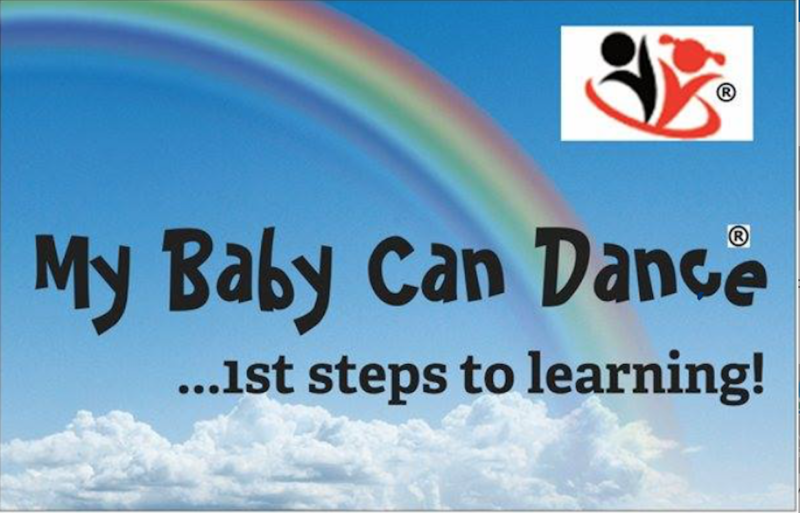 MY BABY CAN DANCE/ NEWBORN CAN DANCE is an award winning movement to music pre school activity class which follows the development stages for the little ones. Ideally suited from birth up to 4 years old. For children with additional needs there is no upper age limit. We run weekly interactive fun classes combining movement, singing, musical instruments, numbers, colours, shapes and phonics. The sessions achieve a proven learning and development path for little ones using a repeatable format which is shown to increase learning and memory. Classes run throughout school term time with payment being made in set blocks of 5. Subject to availability people can join at any time and just pat for the weeks remaining in that current block. 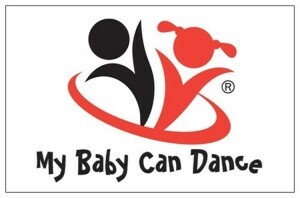 My one year old loves My Baby Can Dance, nice mix of traditional toddler songs and pop songs for them to boogie to. Brilliant group, really friendly and fun for the little ones. 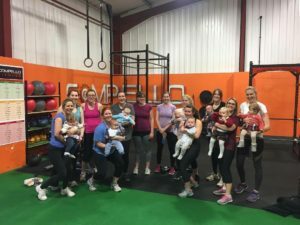 Pramfit is a supportive fitness community for mums and babies. We know you are trying to get back to normal but normal now is a new kind of normal. We’ve been helping mums for over 5 years, helping them getting fitter, stronger and live without pain! We know you’ll be in safe hands when it comes to exercising. We have a 30 day trial for £9.99 for you where you can get to any and all of our classes at 1100am Monday to Friday! 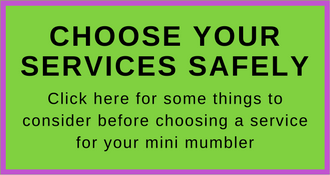 Just Mention Mumbler to receive an extra discount. Here at Rhythm Time, our fun, award-winning baby classes will help your little one’s development through specially created musical activities. You’ll enjoy 30 minutes of fun together including lots of exciting, multi-sensory activities such as bubbles (to help strengthen baby’s eye muscles), dancing (to help co-ordination and balance), exercises (for muscle development), massage, exploration, hand/eye co-ordination and speech development. Plus, you’ll enjoy some great social time together with other parents and their little ones! Rhythm Time are founding members of the Children’s Activities Association and we also have GOLD accreditation, so you’ll be sure that our classes are the BEST quality! Come and join in the fun! We have classes right across York. Spaces limited so don’t delay! Children can go in by themselves at any age, when they are confident enough, I do not have a starting age limit. I treat every child as an individual and they progress happily at their own pace , with this in mind, all swimmers receive an STA certificate and woven badge each term, which are included in your fee. Classes are fun based and relaxed with only 7 children in each class and the whole pool to ourselves, with only one lesson running at a time, which offers little distraction from other swimmers and lots of space. Children really enjoy their lessons and thrive learning to swim. I get to know all the children individually and adapt my teaching accordingly. With over 10 years teaching experience, including my own 3 children, I am fully qualified STA Swimming Instructor, STA baby and pre-school teacher, lifesaving and recently completed Level 3 Diploma in Aquatic Teaching for Baby and Pre-school. Do check out my recommendations on Facebook! 11am at City Screen, Coney Street. For parents and guardians with babies under one year old. Membership is free and valid until the baby’s first birthday. Tickets are at the price of £8.40 for adults and £6.40 for Members); babies come free. Only customers with babies will be admitted. Feeding, changing and playing in the aisles all okay! Follow a weekly theme with songs and sensory activities to learn signs that can help your little one to speak before they can talk! Fun and relaxed sessions for you and your little one. TinyTalk classes are gentle. 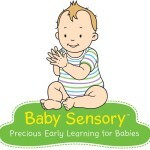 They are designed to help your little one focus on you, what you are saying, singing and signing. With sensory and music activities built into the session your little one is kept engaged while developing their fine motor skills and non-verbal communication skills. Biscuits are a staple in most families’ social time and at TinyTalk it’s no different! After a full half hour of signing fun, you can relax and get to know other families with a drink and plenty of biscuits to keep you going. We also deliver classes on a Friday & Saturdays in Harrogate and Saturday & Sunday in East Leeds. 1st Wednesday of the month 10-11am. £5 per child (additional child £3) – stories, craft, free hot drink from cafe and a book for each child. Willow Farm Cafe, Wigginton, YO32 2RH. Storytelling, craft and imaginative play for 3 and 4 year olds. Some Tuesday and Wednesday sessions. Contact: Miss Tycal’s Magical Emporium on Facebook for full details. Weekly forest school sessions with parents/carers with young children. Activities include muddy area, sensory painting, whittling, nature crafts, observing wildlife and seasonal treasure hunts, to name a few. Kelly Kettle is boiled for a hot drink at the end. Follow us on Facebook / Instagram. 5 Sessions combining baby massage and baby yoga, songs and relaxation in your home for groups of 4+. Neal’s Yard mini facials (£10). Available Tuesday mornings, Wednesday’s 9-3 and Thursday mornings (flexible). Stables Yoga Centre, Nunmill Street. RSM York is a free walking group for mums and their babies. Pregnant ladies also very welcome. Wednesdays at 10:30 meeting at the YHA Water End in Clifton. It’s a great chance to meet other new mums and chat about what’s been happening with your little people whilst getting some fresh air and gentle exercise. We’re a really friendly bunch and it’s a great way to start the week! We’re completely volunteer led so if anyone has any free time and a heart to support other mums whilst enjoying some fresh air yourself then we’d love to hear from you or just pop along on a Monday morning! Song Box musical play groups: Mixed age sessions welcoming babies, toddlers and talkers with mum, dad or carer; sharing songs, rhymes, movement, sensory play, lovely instruments and creative props. 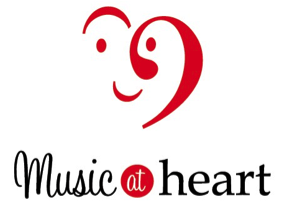 All live music; great ideas to enjoy throughout the week. All over York, Monday to Friday. Price/family. Low income concessions. Providing fun and inspiring performing arts sessions. Based in Shiptonthorpe. We celebrate individuality and versatility in our students and this can be seen from our success stories. We are professionally qualified, vibrant, and recognised as a fun and inspiring environment for people to be in. 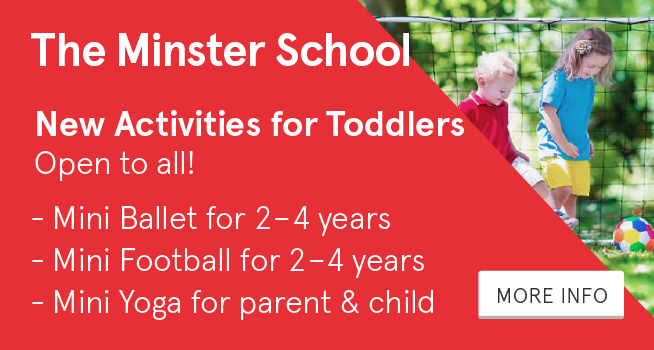 Exciting activities for Babies and Toddlers every weekday during school term time – included in admission price! Each weeks’ sessions have a different theme and include movement, song, crafts, sensory experiences and more to help your child’s development. No need to book, just join in on the day! Every Wednesday in term time Williams Den put on an extra activity just for the undr 5s, Tremendous Tots. They take a walk through the meadow into the woods and do various craft, nature and imagination activities each week. Plus a story and biscuit around the camp fire! William’s Den, Castle Farm, Wold Hill, North Cave, East Riding Of Yorkshire, HU15 2LS. 01430 472230. Wild Things Family Forest School offers a range of outdoor play and exploration opportunities – using real tools, bug hunting, den building, mud kitchen, campfire cooking…. Sessions run during term-time, (monthly)Saturdays and holidays. Sessions start at £8.50, from 18 months old, at Millthorpe School. We are a charitable organisation focused on recreational gymnastics and trampolining for the ages of 2-18. Classes run from a dedicated facility at St John’s Walk, Heworth Green, York, YO31. 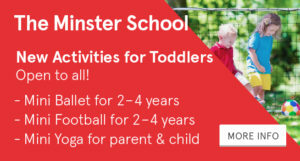 Our Pre School Classes run Monday – Friday during term time, with 5 classes running per day.